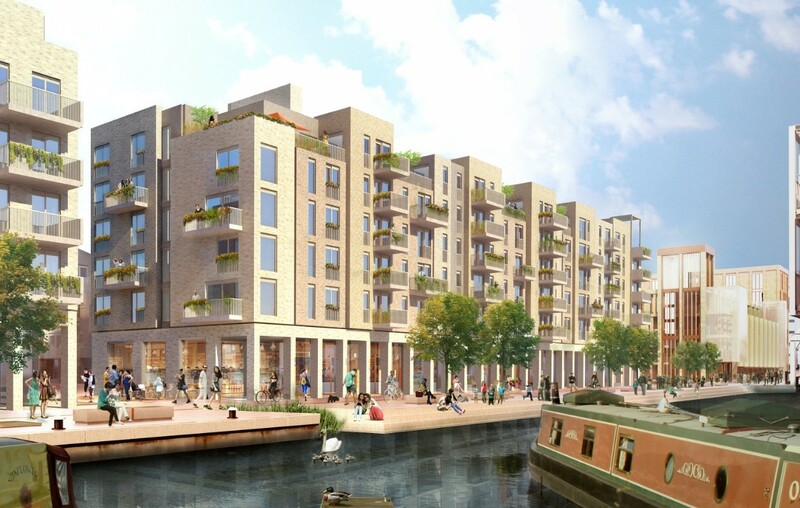 The EDI Group are to showcase a £200m proposal to transform Edinburgh’s former McEwan’s Brewery, Fountainbridge, into a canal side community of 438 homes. 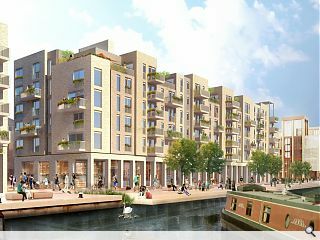 India Quay will comprise a mix of apartments and three bedroom colony style homes all of which will be professionally managed in the long-term under the build to rent model. Lynn Smith, head of development at The EDI Group, said: “Bringing a long-standing vacant site back into use will not only improve the city centre’s built environment it will also deliver a significant economic boost creating jobs and attracting inward investment. An information event will take place this 10 May between 15:00 and 20:00 at Akva, 129 Fountainbridge, ahead of a detailed planning application later this month. This whole project looks fantastic - and if built will hopefully influence future developments. The scaling and materials are superb - not a bland massive sandstone shoebox in sight, as we often see elsewhere. The sooner this gets built the better. It will transform this part of Fountainbridge and provide a very interesting new part of the city centre. It's not often we see that. As stated above, this looks great! Another Edinburgh development in which I'd be happy to live. I am just crossing all fingers and toes that the scheme isn't value engineered to the point mediocrity. Looks great! Once it's all done the canal area will look fantastic. Well done 7N. Looks promising from a design perspective! Would be good to see some plans to understand the quality of the dwellings. I'm very concerned about the build-to-rent model. Lots of people living temporarily in a place with no long term or material stake in it. Maybe if had a regulated low-rent economy of the likes of Germany, the Netherlands or Scandinavia, but we don't at present. In this country the rental model has been allowed to lead to disenfranchisement, isolation and a broadening of the wealth divide. This initiative smacks of a government asking the market to take up the slack in a housing shortage for short term gain, without any effort to make provision themselves. Not unlike the PFI school building programme and we all know the build-quality that left us with. Oh. It looks a bit less promising since UR changed the images. Why has the design changed? What happened to the grey brick and copper roof detailing in the previous images. The above redesign is more bland and timid. Not a good sign if this is happening already. It's a pity this larger site wasn't used for the new high school. I am not keen on the flat roof design. The build-to-rent model is an interesting one - there's a lot of it set for Fountainbridge as the long-delayed second phase of the Grosvenor development across the road is going to be based around it after they had some unexpected success renting the flats they couldn't sell in the economic downturn. The Scottish Government is very very keen on such schemes - there are others going ahead in Glasgow and Dundee - as (how I understand it) they can draw in investment cash from different sources (pension funds etc) to the traditional residential development model, which relies on debt financing through banks. It's right to point out that a high concentration of renters can have problems with short term residents with little long-term stake (although - not all renters! ), but the advantage of this is that the _landlord_ has a long-term stake in maintaining the development, which isn't the case when you have a block of new build sold to individual BTL investors. The UK is pretty unique in how our rental market is composed of individual / amateur landlords. Very few countries have that.